You are looking at one of the most expensive watches in the world. This Patek Philippe Ref. 5016A is a unique piece created by Patek for the Only Watch 2015 edition. Only Watch is a biennial auction for charity organized by the Association Monégasque contre les Myopathies. They raise money to fight Duchenne Muscular Dystrophy. The 2015 edition of Only Watch had many fantastic on-off watch models from the main watch brands in the world, and this Patek Philippe Ref. 5016A was the most desired attraction. The estimated price was between 700’000 and 900’000 Swiss francs. The piece was hammered at an unbelievable 7’300’000 Swiss francs by the auctioneers of Phillips. Almost 7.3 million dollars, 6.8 million dollars and more than 4.8 million British pounds. Ref. 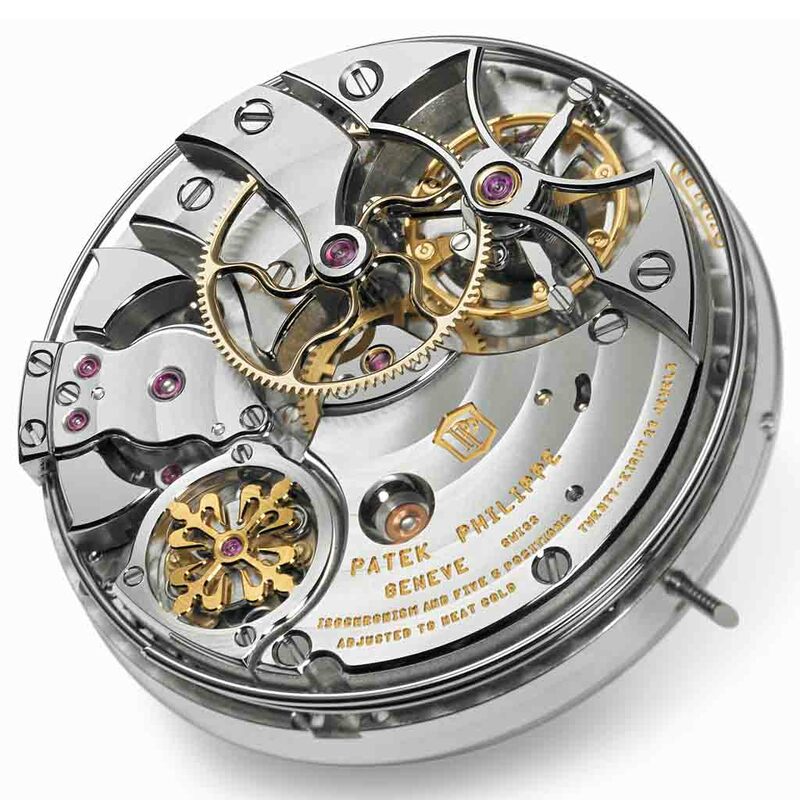 5016 is one of the most complicated watches from Patek Philippe. It was produced between 1993 and 2011, and estimations are that about 200 to 300 pieces were made. It was available in white gold with a white dial, in pink gold with a black dial and in yellow gold with a white dial. 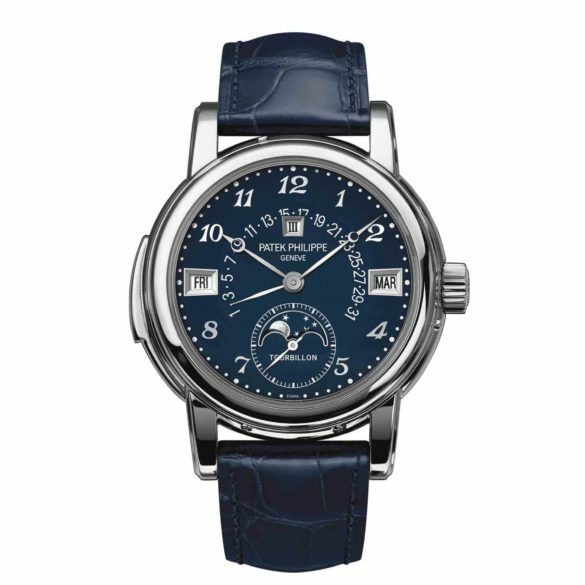 After 2011 it was replaced by the Patek Philippe Ref. 5207, with the same movement and the same complications. Nowadays the Ref. 5316 also has the same movement and the same complications. The 36.8-millimeter Calatrava style case houses three complications: a tourbillon, a minute repeater and a perpetual calendar with moon phase. The date indication is retrograde hand which flies back to the 1st of the month after reaching the 28th, 29th, 30th or 31st. An ingenious mechanism controlled by a spiral-coiled spring. 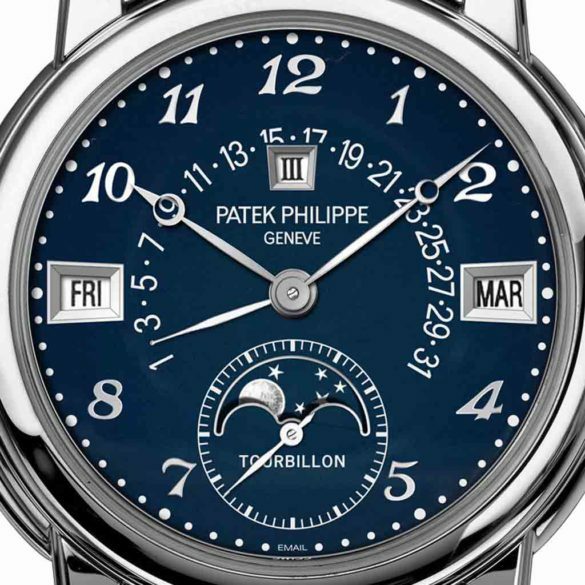 For a while this Patek Philippe Ref. 5016A was the most expensive wristwatch in the world. At the 13th of November 2016, the Patek Philippe Ref. 1518 in steel from 1943 became the world’s most expensive watch. It was auctioned for 11’002’000 Swiss francs, approximately 11,100,000 dollars, 10.231.860 euros or 8,810,573 British pounds. And on the 26th of October 2017 the Rolex Cosmograph Daytona Ref. 6239 from Paul Newman became the world’s most expensive wristwatch (17 million US dollar).